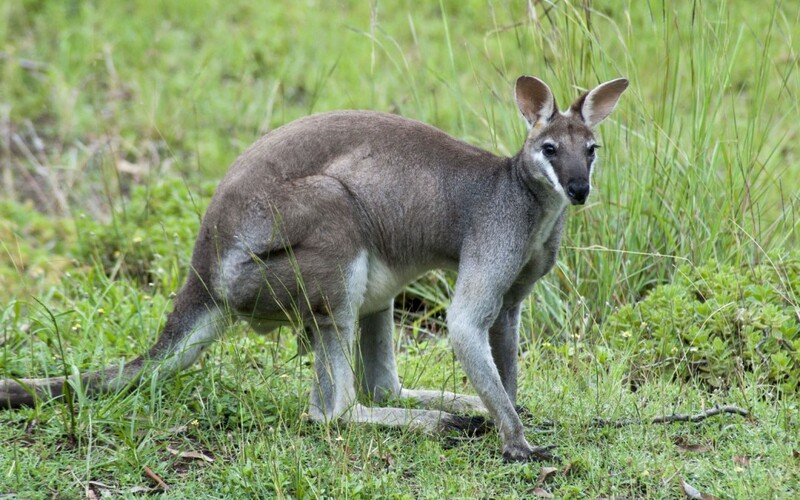 We are very lucky to have lots of resident Pretty-faced(Whiptail) Wallabies – Macropus parryi – that live and feed around the house and property. At times there are mobs of more than ten at a time, congregating and feeding close to the house. 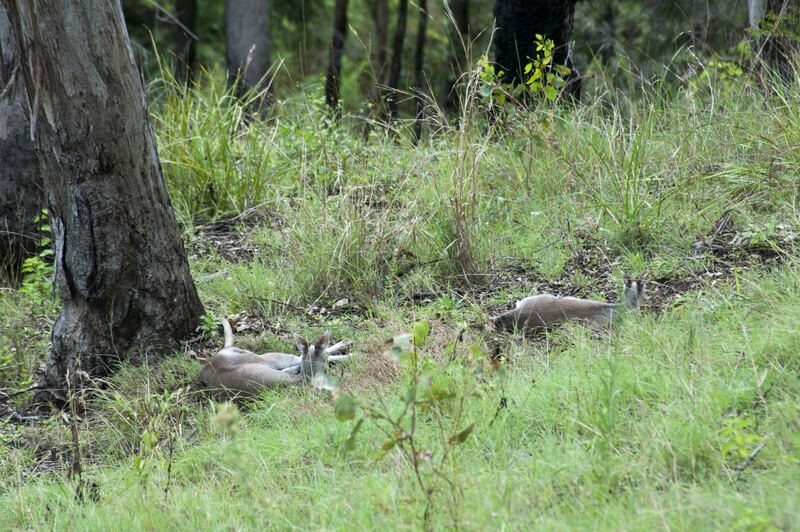 They rest in the forest below the deck in the middle of the day, and earlier on hot days. They get close to the deck and have become more comfortable with us over time. 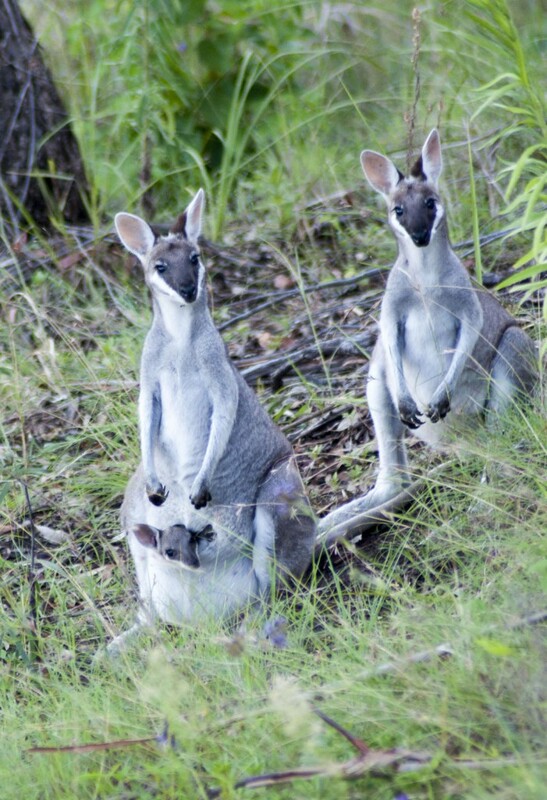 Like this little gang with a joey sticking his head out. 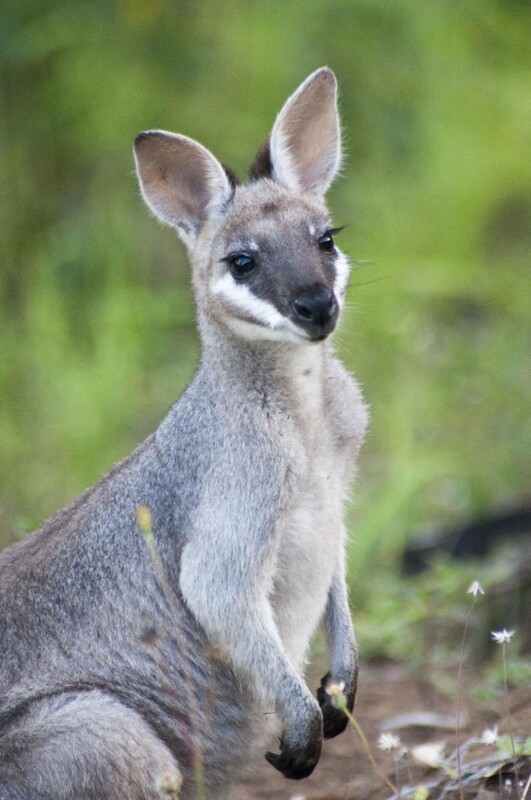 There is a pretty good and obvious reason they get called Pretty-faced Wallabies. They are pretty. 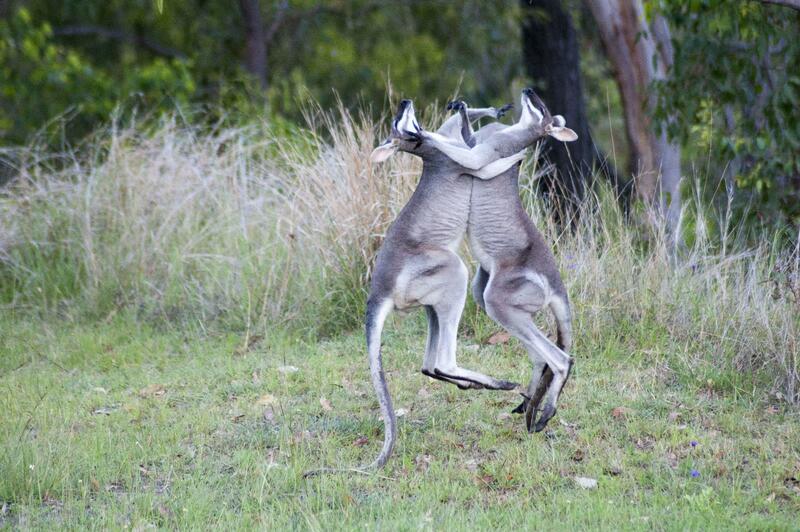 There are, of course, males wallabies amongst the mob, as can be seen by the image at the top of the page. They are in most cases larger, more muscular and usually stand out from the other members of the mob. Quite often we can be sitting on the deck in the early morning and hear grunting and panting coming from the area below the deck. It usually means just one thing…. The boys are being boys. 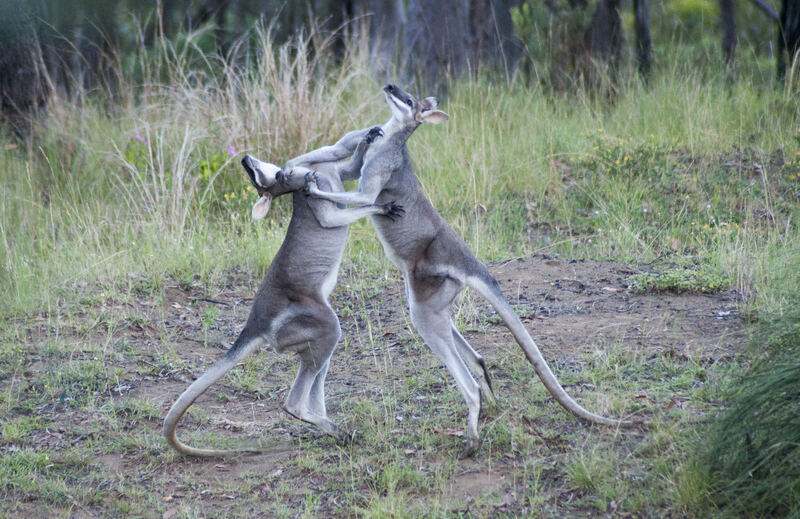 The male wallabies “fight” regularly, and loudly. Take a look at some of these images. This is one of the best shots we got of an ongoing fight. 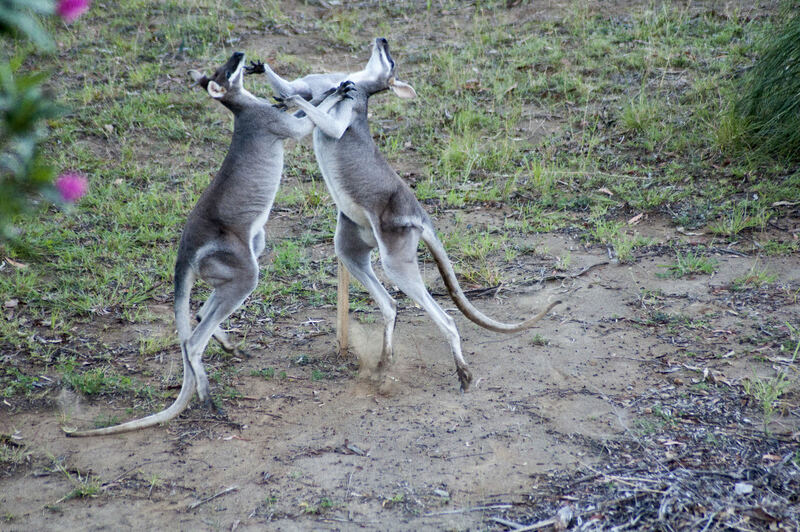 These guys were really going for it, and it is quite spectacular to see them up and almost balancing on their tails as they fight. You can read more about the Fauna here at Arborlon by checking out our Fauna page.